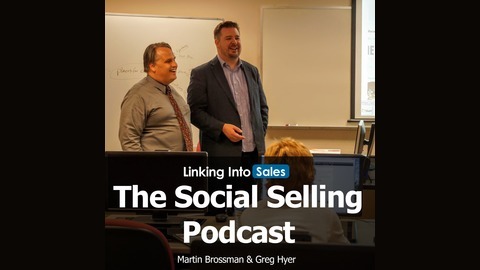 Martin Brossman and Greg Hyer help sales and marketing professionals understand social selling and digital sales strategies they can use in their sales and marketing efforts. Discover cutting edge social listening, engagement, proximity, and capital building techniques you can use on LinkedIn, Twitter, Facebook and other platforms to prospect for, support, and grow your business. I hope you enjoy this show and reflect on the contribution Greg Hyer made in our lives. The way we are selling is changing! You can’t expect the old ways to work and this is why the value of social selling that we are discussing on this show is so important to understand. Liesl Mathis explains how they work as a team at Red Hat to use tools, content and insights to correctly build relationships with the customers that lead to sales. 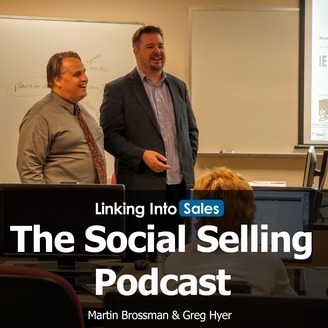 Plus, the podcast (not the video) has a discussion about using Twitter in Social Selling. If you are open to contributing by being interviewed for a tribute to Greg Hyer, please contact me directly at martin@MaritnBrossman.com and please add to the subject line. “Tribute to Greg Hyer”. My intention is to collect things people have gained and learned from Greg Hyer and the show and to produce this as content for the next show. The post Keeping Your Sales Process Real, Authentic and Connected to your Customer with Liesl Mathis Towner – Red Hat Ep 125 appeared first on Linking Into Sales.